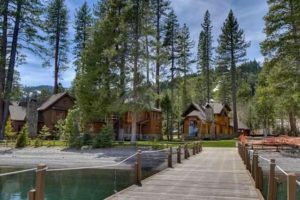 This lakefront project involved converting a partially built timeshare development into a new single-family residential Planned Development. Completed in 2014, Homewood Shores consists of 6 lakefront homes located in central Homewood, California. AEC provided survey, mapping and Placer County regulatory services. Close coordination with the County was required for re-approval of existing Improvement Plans, and fresh approval of the new Final Subdivision Map. 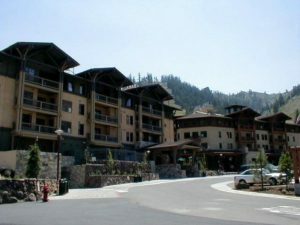 Mr. Auerbach was Project Manager for civil design and infrastructure development for this destination resort development. AEC served as the team civil engineer and land surveyor for this 6-acre multi-family mixed use project. AEC prepared the project base maps, conducted utility surveys for relocation documents, prepared drainage analysis and reports in accordance with Placer County requirements, prepared final maps and condominium plans, and prepared construction documentation for roadways, drainage systems, and utility extensions/reinforcements. This was a complex multi-phase, multi-year development, coordinated with numerous regulatory agencies and utility providers. AEC was the engineer of record for the entire project from preliminary planning and tentative maps, through to construction and project closeout.